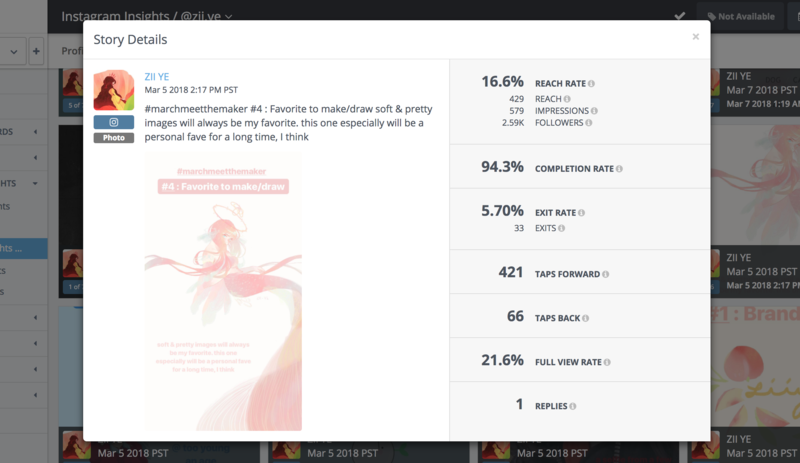 If you haven't connected Instagram Insights to Rival IQ, learn how to do that in Part 1 of this guide. Or if you haven't turned on stories insights for your account, learn how to do that here. With your stories data, we want to help you understand how your stories activity and engagement changes over time. In this article, we'll go over everything you can do in the Stories tab of the Instagram Insights section of Rival IQ. Since Instagram doesn't give us access to historical stories data, this tab might be empty when you first connect. Your stories data will begin to accumulate going forward. 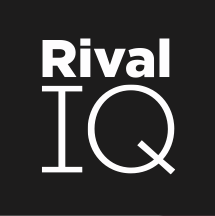 In Rival IQ, we group stories posted on the same day together and call them Days. We call individual photo or video story posts Stories. If you haven't already, use the timezone picker to align your stories by day based on your view. The At a Glance panel will tell you how many days you had posted something in your Instagram story (Days with Story), how many stories you post when you do post a story (Stories / Day), how many unique accounts you reach each day (average peak reach), and how your viewers continue your story from the beginning to end (average retention rate). Peak Reach is the highest reach you received from a Day (stories grouped by the same published day). So, Avg Peak Reach is the average of peak reach across all the days with a story in the time period. Retention Rate is calculated by the impressions on the last story in the Day, divided by the impression on the first story in the Day. View more stories definitions here. The Stories By Day panel displays the Day grouping of stories by the day they were published. The bottom left number of a Day represents the number of stories in that group. Clicking "View More" on this panel allows you to see all Days or Stories. Change the view type to toggle this. You can also change the layout and sort. When viewing by Story, you’ll notice the bottom left of a Story grid will show the story order of that photo or video within its Day. Click on a Story grid to view a modal of its details. Click on a Day grid to dive into a dashboard about the stories posted on that day. For this example, we're looking at 6 stories posted on March 5, 2018. In the At a Glance, we summarize how the stories on this day performed, and compare the metrics to the average of the other days in the time period. You can zoom into each of the individual photos or videos in this Day by clicking on them or clicking View More. Scrolling down, the Post Type chart breaks down the types of stories posted on this day. The Reach & Impressions panel for a single day shows you how views progressed through the story. In this example, each story was viewed more than once because there are more impressions than reach on each story. But the tiny spike in the blue line implies that something in the 2nd story might have been interesting to receive a even few more views. The Retention Rate panel for a single day tells you how completions progressed through the story. A Completion is an impression without an exit, and Completion Rate is the percentage of impressions without exits, divided by impressions. Here, the first story of the day had the worst Completion Rate, meaning most viewers exited on the first photo/video. But overall, the Retention Rate (impressions on the last story divided by impressions on the first story) is high because the impressions were maintained throughout the Day. Going back to the Stories dashboard, you'll see the Peak Reach panel next, with a day by day graph of Peak Reach, highest number of unique accounts that viewed any story on that Day. Using this you can see if you’re growing your story engagement, or you can identify a day that a lot of accounts saw. The Retention Rate panel summarizes how many stories you post per day vs how many stories in a day gives you the best retention. You can experiment with posted a variable number of stories per day to see what is your sweet spot. The Hashtags panel summarizes the hashtags used in captions in your stories (we don’t know if you’ve used any hashtag stickers) and how the hashtag may have affected your reach. Hover over each row to dive into the stories using a particular hashtag. The Story Type panel compares how your followers engage with your stories when they are photos vs videos. When we find actionable insights, we’ll display it on the right side of the panel. Taps Forward Rate is the percentage of taps forward to impressions, so you can see which story type your viewers might be skipping over. The Exit Rate is the percentage of exits to impressions, so you can identify which story type your viewers frequently exit out of. Full View Rate is the percentage of impressions without exits nor taps forward, to impressions, so you can identify what was fully engaging. The Publish Time panel compares when your story was posted to the reach received on the story to help see if publish time can change viewing patterns. You can also filter stories by searching in captions of stories. 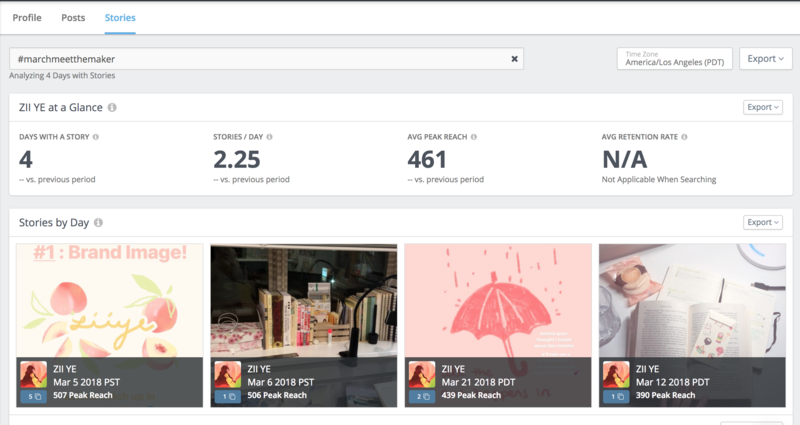 For example, if I search "#marchmeetthemaker", the dashboard filters to show only stories that have that caption. Here, there are 4 days where that hashtag was used, and on average about 2 stories in each of the 4 days use the caption.